. In Departments/ courses where study tour/s are an essential part of the curriculum, students shall be required to deposit Rs. 1,100/- in addition to the above mentioned fee.
. In case of B.Pharmacy, the tour fee shall be Rs.2,000/- in addition to the normal fee, to be deposited in the Department.
. In case of Department/course where industrial/institutional visits are necessary the tour fee shall be Rs.2,000.00/- in addition to the normal fee.
. In case of M.SC. Clinical Biochemistry, the students shall have to deposit an amount of Rs.12,000/- towards intership training/tour fee in addition to the normal fee,to be deposited in the Department. 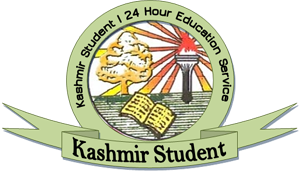 Department of Statistics Rs.750/- (for whole course) to be Deposited in the Department.
. Students shall have to pay a fee of Rs.100/- as Kashmir university Alumni fee realized once in entire course of study.
. Students shall be required to pay Rs. 500/- per annum as Library Department Fee which includes internet fee also.
. The selected students shall have to pay Rs. 10/- as “university Corps Fund” to be deposited in the Department. However , in respect of B.A, LL .B. at affiliated colleges corpus fund and service charges of Rs. 1000/- per student shall have to be deposited in the university chest by their college out of tuition fee.
. 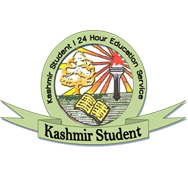 The selected students shall have to pay Rs. 235.00 for entire course as “ IQAC fee” out of which Rs. 35.00 shall be deposited in the university chest and the rest in the Department concerned.
. Students shall have to pay usual examination fee while submitting the examination forms as prescribed by the university from time to time. In case of PG . Diploma in Mass Media (urdu) student shall have to pay Rs. 5000 per semester.